Robert the Bruce was probably born in Turnberry Castle in Ayrshire, to Robert de Brus, 6th Lord of Annandale. His father could claim descent from David I, and some distant connection to the Scottish throne. In 1292, John Balliol was selected by the Scottish auditors to be the King of Scotland. However, there was dispute amongst the Scottish Lords, and Edward I, the King of England, was asked to adjudicate. Edward I increasingly reduced the power of John Balliol, making Scotland a vassal of England. Because John Balliol was Robert the Bruce’s rival to the throne, in 1296, Robert the Bruce and his father signed an oath of loyalty to Edward I at Berwick Upon Tweed. Despite an initial victory at Stirling Bridge, internal disputes amongst the Scottish, led to Wallace’s defeated by the English in 1298. 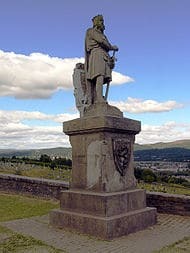 In defeat, Robert the Bruce again signed a treaty with the English, and he was able to keep his lands in return for pledging loyalty to Edward I. Along with John Comyn, Balliol’s nephew, he was made a ‘Guardian of Scotland’. However, Edward had made two bitter rivals (Comyn and Bruce) for the Scottish throne joint guardians. In 1306, Robert the Bruce argued with Comyn, accusing Comyn of treachery which he disputed. Bruce stabbed and killed Comyn at a church in Dumfries. This led to his papal excommunication and Edward outlawed his rule. However, free of his rival, Robert the Bruce faced a choice of ex-communication as an outlaw or to lay claim to the Scottish throne. He decided to declare his kingship and with the backing of the Scottish church was declared king at Scone Abbey on 25 March 1306. However, shortly after, Edward I’s men attacked Scotland, defeating Robert the Bruce’s army, Robert the Bruce managed to escape to Northern Ireland, where he spent the winter. 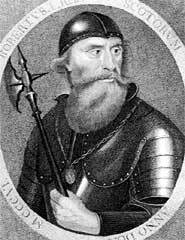 Returning to Scotland the following year, Robert the Bruce began a highly successful guerrilla war against the English. This culminated in the Battle of Bannockburn in June 1314, where Robert the Bruce defeated Edward II’s forces. This led to the re-establishment of an independent Scottish monarchy. Due to continued harassment by Edward II, in 1320, Scottish nobles and churchmen signed the Declaration of Arbroath, declaring Robert as the rightful king of Scotland. The pope later agreed and recognised Robert as King. After Edward II was deposed as king in 1327, the English made peace with Scotland. In May 1328 King Edward III of England signed the Treaty of Edinburgh-Northampton, which recognised Scotland as an independent kingdom. Robert died on 7 June 1329, at the Manor of Cardross, near Dumbarton. He requested his heart to be taken to the Holy lands, to make up for his sins of not going on a Crusade and the murder of Comyn in a church. His successor was his elder and only surviving son, David II. Citation: Pettinger, Tejvan. 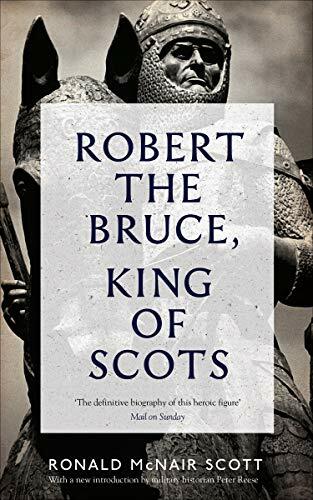 “Biography of Robert the Bruce “, Oxford, UK. 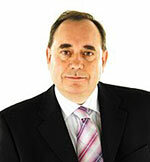 www.biographyonline.net Published 16 Jan. 2013. Last updated 18 February 2018.